Smart Village, majority owned by Multichoice, successfully used Far South Networks communications platforms to provide reliable, quality telephony services to their clients in large gated community environments, and they have stood the test of time. Far South Networks products were chosen after products from similar “best of breed” international vendors were unable to provide a reliable and stable solution. Performing the role of a successful next generation telecommunication service provider in a legacy telecoms environment requires a powerful mixture of technology that is both smart and robust. In 2009, Far South Networks supplied communications platforms to Vodacom Gated Services which now forms part of Smart Village. Vodacom Gated Services was servicing many large “Gated Community” clients in the Western Cape. There were unique South African challenges to deploying reliable, quality voice and data services to these clients. Far South Networks’ Comma iTA range of devices were able to offer Smart Village equipment as a solution to these challenges. Residences in these large, distributed environments were connected via legacy twisted pair, Cat3 copper cable. A typical deployment consisted of a centrally located Asterisk based PBX for provisioning of telephony services, such as voice mail, call transfers and forwarding. Wireless and ISDN services were utilised for connection to the local telecoms operator. 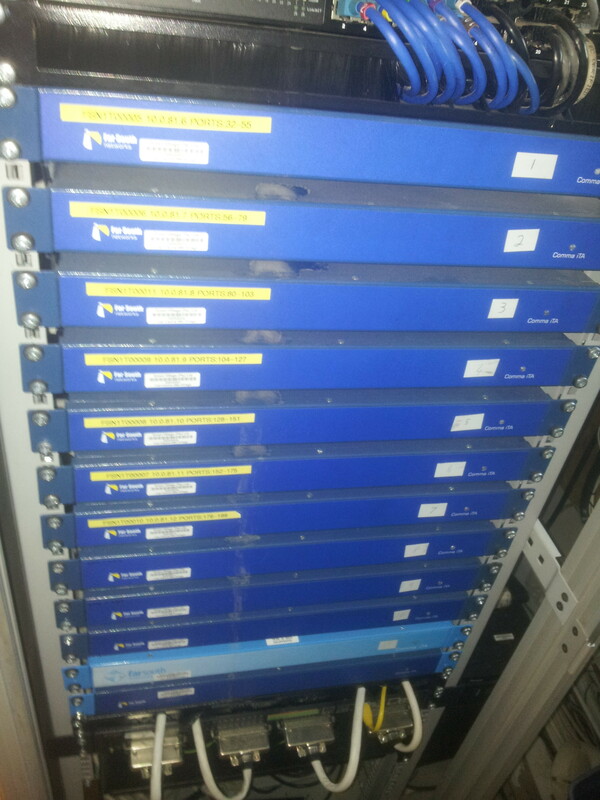 High-density 24-port analogue SIP Gateway devices were utilised to provide analogue voice over the available Cat3 infrastructure. In addition to this, 24-port ADSL mini IP DSLAM’s provided broadband internet services over the same cables. Most sites were however experiencing numerous audio quality, call control and stability issues, which Smart Village technicians identified as a weakness of the analogue SIP Gateways used in the installations. At this time, Smart Village had already completed two major roll outs using “best of breed” branded products from international vendors, but to no avail. Far South Networks Comma iTA product provides a cost effective, flexible and comprehensive telephony interface solution for the open source Asterisk based PBX, Contact Centre and SIP Gateway installation. The Comma iTA was designed to operate in harsh environments, providing high resilience to lightning and power surge events and offering telco grade performance. The Comma iTA was rolled out to Smart Village’s existing Western Cape installations. These sites included the large “Gated Communities” of Stonehurst, Villa Itallia, Bougain Villas, Oasis, Sable Square, Mount Royal, Knightsbridge and Eden on the Bay, many of which were distributed over very large physical areas containing in excess of 450 homes. 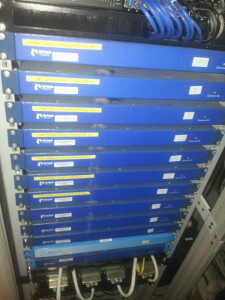 In excess of 50 Comma iTA platforms were supplied which included a mixture of Analogue, Basic and Primary Rate ISDN ports. In completing these installations many site specific environmental issues were overcome. For example power fluctuations caused irregular system power cycling and rain water leaks into underground cable conduits exposed the telecoms cables to current leakage from adjacent AC power lines. In addition to this, large site geographies resulted in Cat3 cable lengths of up to 3km from the central data centre to a residence. The Far South Networks Comma iTA platform was successfully able to overcome all these adverse conditions. The device proved to be extremely resilient to power cycling. Powerful and easy to use diagnostic tools provided within the Comma iTA device enabled Smart Village technicians to identify and monitor line leakage currents. The Comma iTA is specified to drive 3km Cat3 cables, while providing highly effective protection mechanisms against power surges & lightning strikes. Complete stability ensued for over 3 years, until October 2013 when a particularly intense Cape storm flooded the Stonehurst datacenter. This resulted in water damage to 4 of the 12 Comma iTA units. Due to the Ethernet LAN based scalability of the Comma iTA device, the damaged units were easily removed from the network while the remaining equipment continued normal operation. Smart Village was thus able to continue providing services to the unaffected Stonehurst residents. Far South Networks is proud of the deployment of its technology in Smart Village projects, and particularly to witness the quality and reliability of the products in situations where globally branded products were unable to cope. Smart Village has deployed over fifty 24-port Comma iTA units in the Cape region over the past 4 years. We have found the product to be both robust and reliable with high performance and extremely low replacement percentage. We are happy to use them in Cat3 networks,” says Mike Clegg, Smart Village Operations Manager.